Well, this is happening! Firstly, thank you to everyone who responded and shared my post on canvassing interest in a Jean Rhys Reading Week. The response has been amazing – it seems as though several of you are keen to read and discuss Rhys’ work, which is great to hear. Early September has emerged as the most convenient or preferred option for the majority of you, so we’ve decided on w/c 12th September – please save the date in your diaries. Also, I’m delighted to announce that Eric Karl Anderson, who writes so eloquently about books at the brilliant Lonesome Reader website, will be joining me in hosting the event. Eric is a long-standing fan of Jean Rhys, so it’ll be great to have him on board as a co-host. We’re both very excited by the prospect and we’ll be planning the event over the summer months – please do get in touch with either of us if you have any thoughts or suggestions. You can contact us via our blogs or via Twitter where we tweet @JacquiWine and @lonesomereader. In the meantime, maybe you could think about a Rhys you might like to read for the event? Ideally, we’d like as many people as possible reading and talking about Rhys during September’s event, sharing reviews, thoughts and experiences as we go through the week. Once again, thanks so much to everyone who has expressed an interest so far. It’s been wonderful to see so much love for this writer’s work over the past week! PS Eric is on holiday right now, so please don’t worry if he doesn’t respond to any messages immediately – he’ll be back shortly. This entry was posted in Book Reviews, Jean Rhys Reading Week, Rhys Jean and tagged #ReadWomen, Fiction, Jean Rhys, Jean Rhys Reading Week, Penguin Books, Penguin Modern Classics, UK on May 22, 2016 by JacquiWine. Brill! I’ll put it in my schedule. BTW Diane Athill has a long section on the finishing of Wide Sargasso Sea in Stet, her memoir. I have found my copy of Carol Angier’s biography, but must have read it 30 years ag! No recollections at all. That’s great. No problem at all – we’re looking to it too! Excellent. I see my shelves hold well thumbed copies of Wide Sargasso Sea, Good Morning Midnight, Tigers are Better Looking and Smile Please, so I think on this one I may not need to be doing too much buying. I also have the much enjoyed Stet by Athill on my Kindle, and re-reading the Rhys section will be useful. However, I don’t have the biography Caroline mentions………..
PS – Am enjoying noseying around on your co-hosts blog, too. That one will give me hours of fun and a list of new books to be lured to…………. Ooh lovely I am definitely in. Marvellous, it’ll be great to have you along! Not at all, I’m just so thrilled with the response! Cool – I’m glad the timings work for you, Marina, as it’ll be great to have you on board for this. I’d like to read up about her life as well. Caroline mentioned a biography by Carol Angier in her comments above, and there’s another by Lilian Pizzichini – The Blue Hour, I think. Anyway, whatever you decide to read/revisit, it’s bound to be worthwhile. Really looking forward to hearing your thoughts on Rhys and her work. Fantastic idea Jacqui. The only challenge is which Rhys book to read. Am tempted by After Leaving Mr. Mackenzie following your review, but also tempted by Voyage in the Dark. Choices, choices. Indeed. I’d like to read up on her life. A great idea. Thinking cap on. Wonderful! I’ll put this on my calendar and see if I can find a nice copy of Wide Sargasso Sea at a used bookshop in the meantime. I’m not quite sure what’s going to be happening in September, so I can’t commit, but I will read the posts. I’ve read a lot of Rhys but it’s been a few years ago now. I have never read Jean Rhys but she seems well worth reading. I am glad that the reading week is being announced so far in advance. I will try to join in. Would be fab if you could, Brian. I genuinely believe she’s one of the greatest writers of the 20th century. At least one of her books — Wide Sargasso Sea, at a guess — must be on those book lists you shared a little earlier. I’ve been meaning to read her for a while. I’ll try to participate even if it’s going to be a busy week at work. I’m so pleased that this is definitely going ahead. I’ve put it on my calendar and am already looking forward to it. I think I’d like to re-read Voyage in the Dark as it’s one of my favourite books but I might take the opportunity to read one of her other novels that I know less well. Excellent news. Thanks, Hayley – I’m glad you’re up for it. Looking forward to hearing your thoughts whichever Rhys you decide to read in the end. I thought Voyage was superb, an early contender for my book of the year. 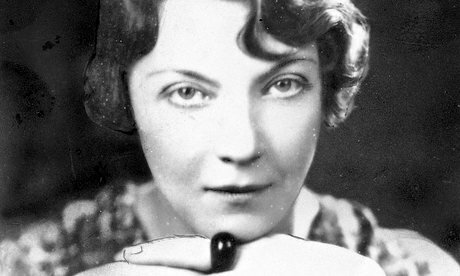 I’ve just ordered a second-hand copy of a biography of Jean Rhys so I’m going to read that in the run up to the Jean Rhys week on your blog. Voyage is one of my favourite books – I get something different from it on every re-read. Oh, that’s excellent. I’d like to read about her life too – I’m sure it would lead to a better appreciation of her work. An amazing idea, Jacqui and Eric! This will be my opportunity to finally read Wide Sargasso Sea. Fab – sounds like a good fit! Delighted to hear you’re up for it, Elena. I might participate in a slightly different way. Some – many – years ago I wrote an artilce for a German fanzine on her. Maybe I’ll translate it or use it as a base for something new. That would be wonderful. I’d love to read it – whatever you feel comfortable with, Caroline. Hmmm…I know nothing about Rhys, but would like to at least read The Wide Sargasso Sea. I also have Good Morning, Midnight on my TBR. Lovely – you are more than welcome to join us. I’m interested in re-visiting her work too, I read all I could find published many years ago, and Germaine Greer on her too. When I suggested her for a paper I had to write (in my final year) towards my degree. the lecturer turned her down as a subject for being ‘too slight’ – I was puzzled but lacking self-confidence turned to the canon. I have the Pizzichini somewhere unread so this will be an opportunity. R4 have dramatised her short stories over the years and I’m sure documented her life. I’ve been curious about Rhys for a long time, but more so after reading Stet. This event sounds like just the thing to sate that curiosity. Looking forward to it! Excellent! Glad to hear you’ll be joining in – she’s such a great writer. I am in. Every since Backlisted podcast discussed Good Morning Midnight, I knew I had to read her. Excellent news! The Backlisted podcast is terrific, isn’t it? I think they’ve done a lot to generate interest in reading/revisiting Jean Rhys. Somehow missed this post. I finished Wide Sargasso Sea a few weeks back and it is in the ‘to be blogged about’ pile sitting on my desk. I might manage to get a post together for this… hopefully. I’m in with Voyage in the Dark! Marvellous! Can’t wait to hear what you think of it. I’m in. Love Rhys, so I know that I’m going to enjoy participating in your JR Reading Week. Can’t wait!! That’s fantastic, Nadia. Thanks for letting us know – we’re looking forward to it! Will be joining you in your reading of Jean Rhys. Have reserved a copy of After Leaving Mr Mackenzie from my library. Hope my book comes from the library in time to read. Lovely to find someone with the same love of books. Fingers crossed it will come through for you, Mary. The members of my book group will be reading Mr Mackenzie for September so I’m curious to hear what they make of it too. Unfortunately the Library book hasn’t come yet so I will be late with my review. So disappointed as I ordered it ages ago but we only have a drop off once a month so will now be my October read. Hi Jacqui, I can’t wait for Reading Rhys week (not that I need an excuse to read any Jean Rhys!). Thinking of re-reading Good Morning Midnight. Would love to know what your reading plans will be for the week! Thanks to you and Eric for organising a fab week; amazing to find others on the Internet who love Rhys too! Hi Abby, thanks so much for dropping by. Delighted to hear that you’ll be joining in with the Reading Week. GMM sounds like a great choice, and I’m looking forward to hearing your thoughts on the re-read. Still putting plans in place for the week – we’ll put out a post a little nearer the time. I’ll definitely be focusing on her stories, both the early pieces from The Left Bank and the later ones in Tigers are Better Looking. Hoping to get my book group involved in reading one of the novels too, probably Mr Mackenzie as it’s a little easier to get to grips with than some of her other works. Eric will be re-reading some of the novels, so between the two or us we’re hoping to cover most of her work (one or two other bloggers have offered to help as well). As you say, it’s exciting to see the level of interest in #ReadingRhys and exchanging views on her work. Should be a great week! Like I said on Twitter, I’m very keen to join! Happy I saw the Tweet :) I think I’ll read “Good Morning, Midnight”, but this is my first Jean Rhys so if you have any other recommendations I’ll gladly follow them!